QR describes the nature and quality of a work relationship from organizational and personal perspectives. 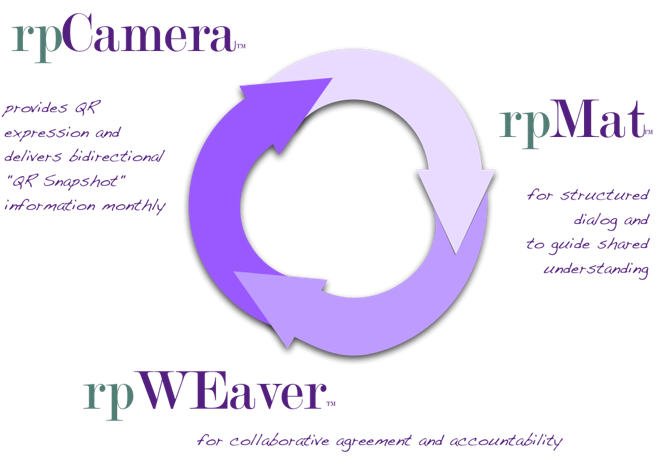 QR reveals the dynamic interplay and forces between the two different parties with different needs and requirements. QR is a neutral, balanced and proprietary standard bringing universal structure and understanding to work relationships. QR makes it possible to equally inform, measure and serve the needs of workers, supervisors and leaders. That’s right, our tools are equally offered to everyone in the workplace, without favoritism or bias to anyone. This “bilateral illumination” is proving its formidable value in organizations and lives each day on every shift. QR is the “magnet of work™.” QR explains why there‘s “attraction;” and equally, why there can be “repelling,” that leads to unwanted exits or weak work security. 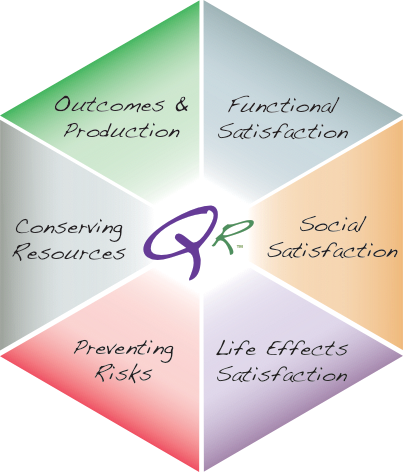 QR provides the key and door to the ultimate source of peak worker performance: enthusiasm, that’s fueled by personal enjoyment and fulfillment in one’s work! B. All higher-level supervision have rpLookDown™ dashboard utilities ensuring QR attention and compliance is taking place. 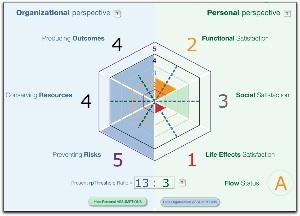 C. QR and rpPaq are extensible, thus they can become the cornerstone for improved work role design, organizational design, strategic hiring and succession programs, including more magnetic attraction and precision selection of talent. 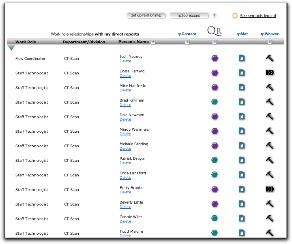 Providing work vision to all within an elegantly integrated QR toolset. 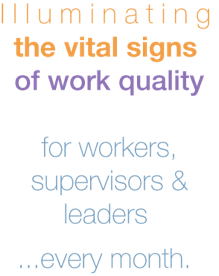 Many workers and organizations remain misinformed about work realities. Both parties continually experience unnecessary risk, loss, waste, failure and nasty surprises due to their reliance upon assumptions, misunderstandings or information voids. Supervisors and workers at every level are interacting in darkness and fog without reliable knowledge for unleashing the greater potential hidden within their relationships. Incredibly, in 2017, some still use lopsided, frustrating “performance” reviews, unreliable “engagement” surveys, anemic supervisor “development” or are festering with toxic or misinformed points of view about work, yet hope for the best. In sum, yesterday’s “labor mentalities” are inadequate for today’s “talent” realities. Workers, leaders and supervisors can finally exit the dark ages. We bring enlightenment to work relations. As we do so, everyone in the workplace enjoys the many benefits of work vision™: • Communications and understanding are immediately and vastly improved. • Untapped potentials are unleashed. • Assumptions are purged. • Easier, faster, more reliable results and rewards are realized. • Greater yields are harvested from more enthusiastic workers, who have better lives from their better work. • Everyone is alerted in advance to lurking work relationship jeopardies and dangers while there’s still time to prevent their harm. • Thinking, behavior, action and innovation becomes better informed. Turning on the lights within work relations can be a very good thing. How do we enlighten and empower work, supervision, lives and organizations? On the “personal side” of work relationships, these three dimensions drive, attract, engage or repel workers across every profession and every worker demographic. 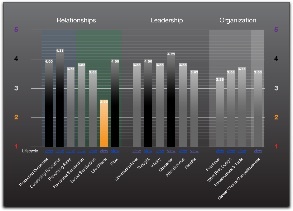 On the “organizational side” of work relationships there are three ever-changing, universal dimensions of functional work role performance within every organization of any size or industry. US Patents 7,191,176; 7,519,594; 7,822634 B2 & patents pending. License required for any usage or applications. 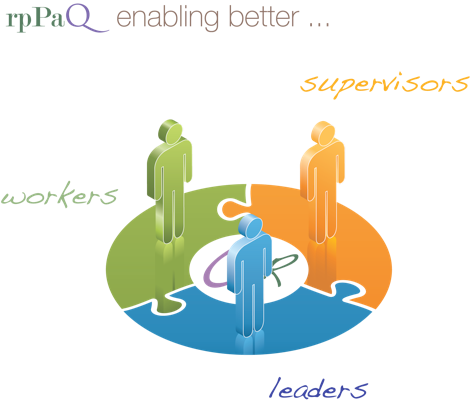 With rpPaQ workers, supervisors & leaders know the Quality of their work Relationships ... and all are well-equipped for improvements. • Three minutes per month is the maximum time required for most people to complete a QRSnapshot for a work relationship each month, whether as supervisor or worker.